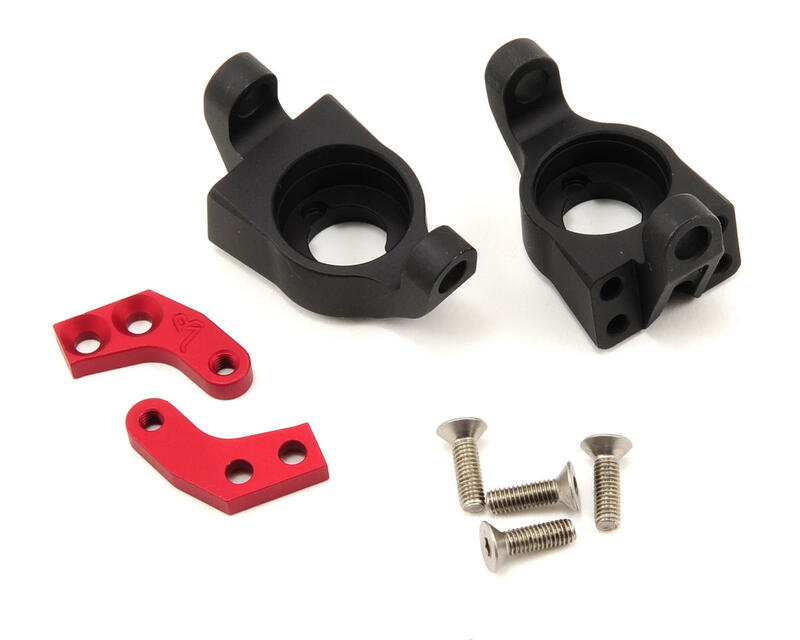 This is an optional Vanquish Products Steering Knuckle Set, and is intended for use with the Axial Wraith, or any rig that uses AR60 axle housings. These aluminum knuckles allow the use of the Vanquish AR60 Brass Knuckle weight (VPS04001) and the design of the ackerman arm allows the knuckle to be setup for either standard or behind the axle steering link setups. Knuckles are of great quality, but for some reason the lip between the two bearings is too small, which resulted in about a millimeter of sideways play on each side. I had to use extra washers, which has been a problem for other users of this product as well (forum threads about it). This was used with wraith/ax10 axle. As mentioned by previous reviewer, the gap between the two ball bearings is smaller than stock, which resulted a lot of play of the axles(sliding in and out). You need to shim it about 1mm to 1.5mm to take out the slop.